Local frontline domestic violence worker Sam Parker has been instrumental in the ongoing campaign for paid domestic violence leave. 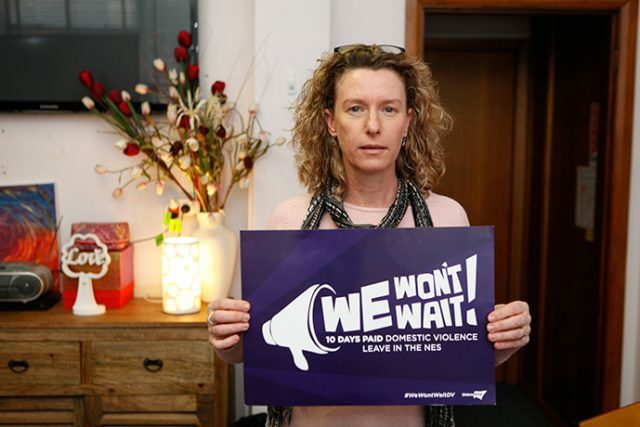 The ‘We Won’t Wait’ campaign is calling on all political parties to introduce legislation that will see the inclusion of 10 days paid Family and Domestic Violence Leave in the National Employment Standards. 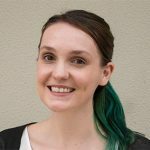 “I’ve had some real horror stories with women being threatened to have their employment terminated if they were needed in court to obtain an AVO,” Ms Parker told the Weekender. The need for the leave was identified by workers, like Ms Parker, in the domestic violence sector. She said a lot of misinformation still exists in relation to domestic violence, and the leave should not be trivialised. “I do get concerned when I hear the comments like, ‘I’ll let my husband hit me on the head so I can get an extra 10 days of holidays’,” she said. “It really belittles the importance of the issue. If women need to take the time to do what’s required in order to leave an abusive relationship and they need the security of employment and wages to do that, I think most people are reasonable and understand that. Ms Parker said the leave “makes good economic sense” too, costing just five cents per worker per day, significantly less than having to recruit, hire and train someone new. “When women talk to me about how they have lost their job, it’s because it was misconstrued as though their personal life was interfering with their professional life,” Ms Parker said. “Employers don’t know how to deal with domestic violence, so they blame the employee. If legislated, a suitable person at a workplace will receive training on appropriate responses should someone require the leave. “Women need to know that if they’re going to tell someone that they are safe telling them, that the information won’t be used against them and the assistance is appropriate,” Ms Parker said. Countries, like Canada, have already adopted similar successful programs. The Greens and Labor are on board with the campaign, and Ms Parker hopes the Coalition Government will follow suit.